In October, OnePlus introduced their second handset for 2015, the OnePlus X, carrying a budget-friendly price tag and a decent set of specifications. However, it also followed the invite system if you want to purchase it. If you’re still thinking about purchasing the OnePlus X and don’t have an invite, there’s some good news for you. 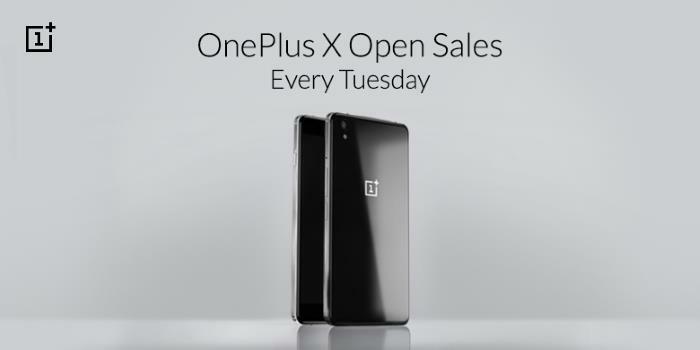 The company will offer OnePlus X without an invite every Tuesday starting today. The handset costs $249, and brings an excellent set of specifications for this price. There’s a 5-inch display sporting a resolution of 1920 by 1080 pixels, a Qualcomm Snapdragon 801 processor with Adreno 330 GPU and 3GB of RAM on board. There’s 16GB of internal storage coupled with a microSD card support of up to 128GB for those looking for expandable memory. Other features include 13MP camera for photos and videos, an 8MP front-facing camera, a 2,525 mAh battery and ships with OxygenOS based on Android 5.1.1 Lollipop pre-installed out of the box. There’s no word about the number of units which will go on sale every Tuesday, but if you’re interested, act fast as there’s a possibility that it’s in limited quantities. Anyone interested in picking up the OnePlus X now that it’s invite-free?